The big day finally arrived on 25 July: Porta Mallorquina had the great honour of sponsoring Pollença’s most important traditional summer race for the first time. The race took place as part of the “Sa Patrona” celebrations, from which it takes its name. Starting off, from 6:30 p.m. the youngest competitors ran their laps directly in front of the Porta Mallorquina office, at the Plaza Monument. A dedicated race for children and adolescents in every age group was organised; there were 4 categories in all, and you can see the results here. The race took place in front of the Porta Mallorquina office in Pollença. The big race for adults started at 7:20 p.m. and the temperature was still high. Owing to the high air humidity, the running conditions were demanding but still bearable thanks to light cloud cover. The course started and ended at Via Pollentia 41, passing through Pollença as far as the popular La Font residential area. The Porta Mallorquina Southwest licence partner, John van Eenennaam (shown on right with the race winner, Abdessi Rja) also took part in the race. There were plenty of refreshment stations along the entire route to ensure that runners had enough water. 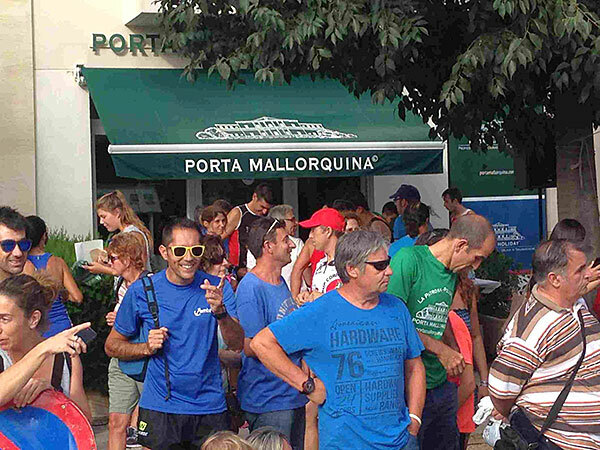 Afterwards the runners restored their strength with Majorcan pizza (“coca mallorquina”) and huge quantities of isotonic drinks and water in front of the Porta Mallorquina office, where each runner was also given a Porta Mallorquina running shirt as a souvenir. Times were measured via a running chip. This meant that the times and classification of individual athletes were already available online 1 hour after the race. They can also be retrieved here. 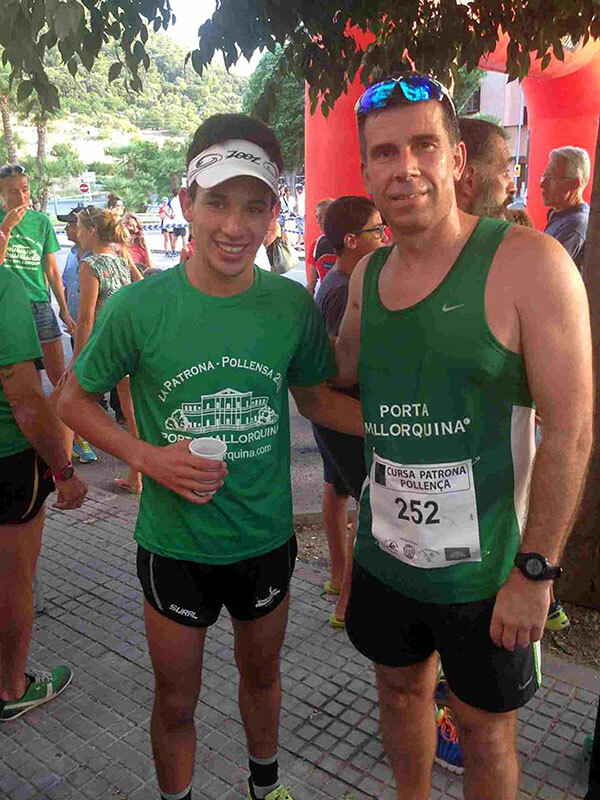 The Managing Director of Porta Mallorquina North, Stephan Hoffmann, who organised the race in conjunction with the Club Atletisme de Pollença, was delighted by the race turnout with almost 300 competitors, and is planning to sponsor the event again next year. We captured the mood at the event and have posted some impressions on Facebook. · Porta Mallorquina Real Estate Rating 4,8/5 by 200 testimonials.